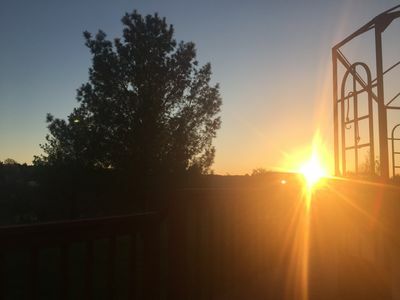 Peaceful beauty awaits you all year at this newly upgraded home on quiet Needle Point Drive. 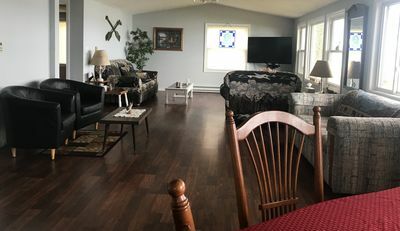 Situated on 200 feet of lake front, this home has a spacious open floor plan that is perfect for entertaining family and friends. 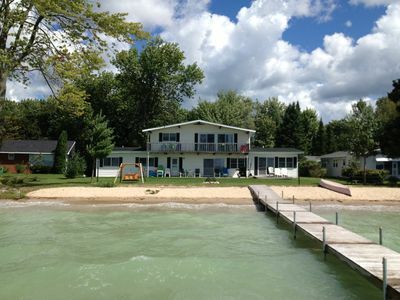 Summertime boating, swimming, tubing, water skiing and jet skiing are just steps away. 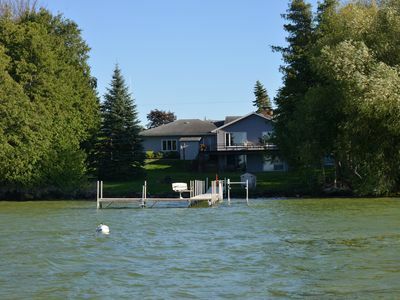 If fishing is your pleasure, the lake is serene and calm for early morning and evening outings. 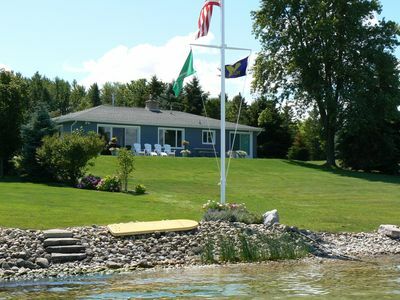 Long boating excursions take you onto Indian River and out onto nearby Burt Lake and beyond. 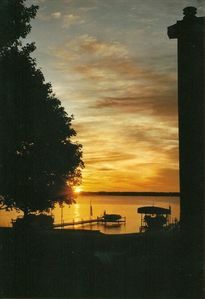 A gem of the north, Mullett Lake is never crowded and the sunsets are spectacular. Nearby you can take in the wonders of the Mackinac Bridge, the world's longest suspension bridge. Michigan's beautiful Upper Penninsula, including the Soo Locks, is just the other side of the Bridge. Half an hour from the cottage you can take a ferry over to world famous Mackinac Island where the only mode of transportation is by foot, bicycle or horses, all of which will take you to the Grand Hotel, open since 1887 and known for its beautiful front porch and outstanding service. Back on the mainland in Mackinaw City visit Fort Michilimackinac, an 18th Century fort and a National Historic Land Mark. 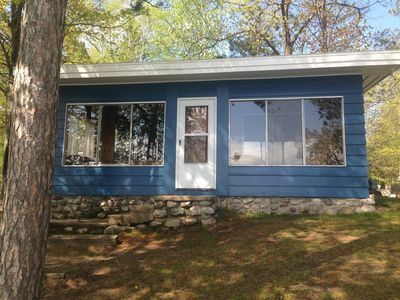 Fall is one of the most beautiful seasons in Northern Michigan and from this rental home you can see trees changing color all around the lake. Drives, both long and short, will take you past spectacular displays of fall foliage through state forests, parks and small towns in this area which is not heavily populated. Hunting is also a popular fall sport, both bow and rifle. Winter brings out snowmobilers and cross country skiers with plenty of nearby trails to follow. 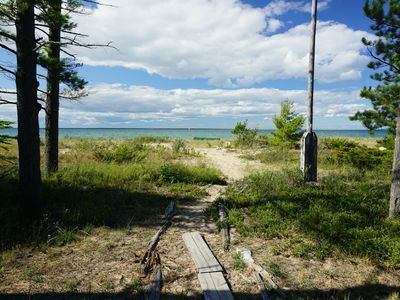 No matter what your recreational pleasure, Northern Michigan has much to offer. 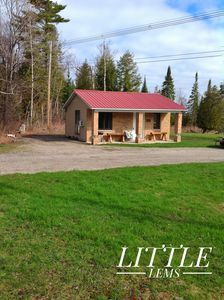 This rental home is in a great location to take advantage of these activities. 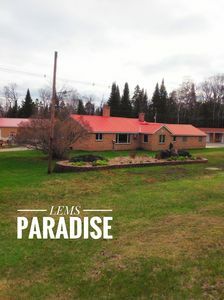 The home is also the perfect place for quiet solitude or wonderful gatherings of family and friends. For additional photos, please send a request to the e-mail address listed. 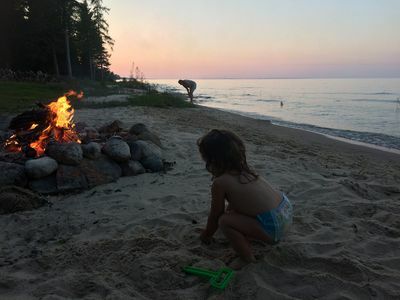 Come and share the wonders of a Northern Michigan vacation! 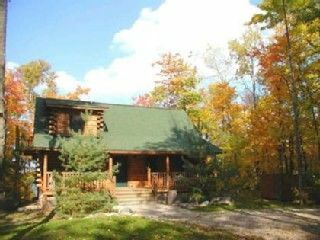 Lakefront Luxury Lodge/Cabin, Exceptional value w/ Secluded Beach, GREAT views! 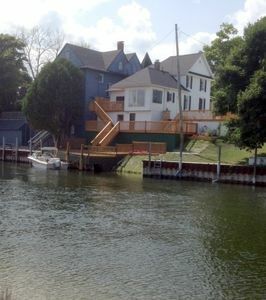 Down town Cheboygan on the famous Inland Waterway.